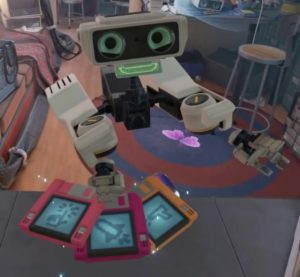 The very first thing you do with the Rift after setting it up is a brief demo that familiarizes you you the basic operation of the touch controllers called First Contact, directed by a flying ROB-like robot. You insert cartridges into a 3D printer of sorts, and it spits out objects for you to manipulate. I pretty good introduction to the basics, and well presented. It was honestly very impressive as an introduction to the concept of manipulating objects in VR. Up next was theBlu. I wanted to try a few more relaxed experiences before diving into anything with more action. theBlu isn’t free, but I feel it was well worth the $11 it cost. There are three underwater scenes you can experience, a shipwreck with a whale, a migrating swarm of jellyfish, and a very dark deep sea scene with an assortment of glowing deep sea fangly fish. It was enjoyable and relaxing, for the most part. Then I tried Elite Dangerous. I’ve been playing Elite for a while now on a normal monitor, but kept hearing that it was probably one of the best games you could play in VR, and was no small part of my motivation to get a VR headset. Short version: Everything everyone else has said about it online is true. It’s a completely different, and altogether superior experience in VR. The game looks good normally, but viewing the game on a monitor utterly fails at communicating the scale of the game. Between the newfound sense of how big everything is and the feeling of presence just sitting in your cockpit it is literally a game changer. 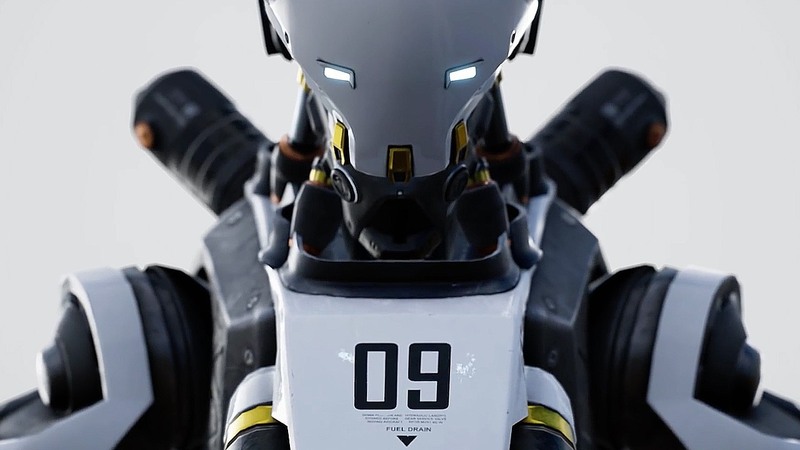 The last game I’m going to talk about here is Robo Recall. This was bundled with the Rift so I figured I’d give it a try. It is an immense amount of fun. It’s similar in style to arcade rail shooters like House of the Dead, or Time Crisis, but with somewhat more freedom of movement and the ability to grab and melee your enemies via the Oculus Touch controllers. It’s not a long game, but it was also free, so I’m certainly not going to complain. My criticisms are few. Really I’d say I only have two, and only one of those is really the Rift’s fault, namely the screen door effect. It’s real, and it’s pretty much always there to some degree. I hear it’s substantially improved over the initial dev kit models of the Rift, so I can only imagine how completely horrid they were in terms of image clarity. My second issue is simply one of motion sickness in Elite Dangerous. Yes, I get motion sick in the Rift playing Elite, and Elite only. It’s the only game I’ve played so far that moves you around in ways that aren’t directed by your own movement in the room, or masked through fading out from one place and back in at another. The disconnect between what your inner ear is telling you (you’re sitting in a non-moving chair) and what your eyes are telling you (you just did a lateral roll while flying sideways past a space station at 300+ meters per second) is very difficult to resolve. I hear it gets better with time. I’m so peanut butter and jelly! 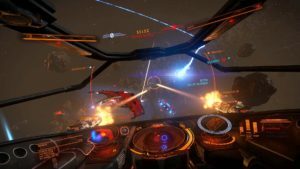 I definitely want to try some Elite in VR!! Nice review, I don’t have a want to get VR but this made me consider it a bit more. 2 guys at work bought them at launch and regularly tell me I can borrow theirs whenever it comes up, I think I’ll borrow one first if I get serious about grabbing one of my own. What card are you currently running i know we’ve talked about it in the past but I forget. I’m sure I meant to mention in the post, but I guess I didn’t! I’ve got an RX 480 8GB.